There’s one investment you can make that will guarantee you more happiness and a better life. Without health you can’t enjoy any of the pleasures of life. Activity becomes dull and you won’t have the energy to make the steps necessary to move forward. With health you can enjoy the simplest things. Your senses are more alive and your energy make you a delight to be around. A walk down the street is something to look forward to and not something to avoid. You become more enthusiastic about work and your relationships flourish. There’s no substitute for health. Those who have lost it can attest to this. No amount of money or material things will fill the void of unhealthiness. Well the simple answer is to get healthier. The problem is there’s a lot of bad information out there. This can lead to either shallow and indifferent health results. It can even be harmful. This is a problem that I have faced personally and why I started this website. I have learned and wish to share safe and easy health tips and ideas that can impact your health greatly. With that in mind: Is a FitBit necessary to achieving perfect health? No. Can it help aid in the process and give you valuable information on your journey to perfect health? Absolutely. How Can a FitBit Help You? First off, it’s very stylish. It gives off the appearance of a sleek watch. You won’t have to worry about anything clunky and unappealing; it’s very pleasing visually. Next, it tracks all your activity for the day. The secret to health is finding what you need to improve on. Some people may need to indulge in one activity to improve their health while others need to do something completely different. For example, a person who sits at a desk all day will need something different than a gardener or construction worker.The activities you do outside work and family life should balance out the rest of your life and make up for what’s missing. And this is what the FitBit does. It gives you pieces of information like the amount of steps you take, distance traveled, amount of calories burned, and active minutes. You take this information and use it to improve your life. You won’t need to guess what your body needs. No more wasting time and effort on exercises that don’t fit your individual health needs. Sleep is the great refresher that balances life. Have you ever been having a bad day and just knew a good nights sleep was the answer to your problem? Sleep is very essential to your overall health and mood. Your body restores its self during this time and the deeper you sleep the more restoration you get. FitBit is worn very comfortably and won’t disturb these (hopefully) beneficial 8 hours. It tracks and monitors how long and well you sleep. It also has a silent alarm that gently wakes you up (and not your partner). The Flex is the best value out of all the Fitbits. When combining all the features and the price this is the one you should decide on. Also, Amazon is the best place to make the purchase. It is one of the dependable and number one online retailer on the internet. They provide free shipping options as well as other shipping options that will get your purchase to your door within days. You are practically guaranteed a painless buying process. Don’t wait until tomorrow to take the first step to becoming healthy. If you aren’t sure where to begin look around this website. You’ll find great information and when you become a member you get access to the best exercise routine on earth. It’s called My System and combines exercise, deep breathing, self massage and cool showers. It workouts all muscles and improves your lungs, skin and all internal organs; all things necessary to be truly healthy. And the best part? It only takes fifteen minutes and requires zero equipment or weights. Combine this with the Fitbit Flex and you’ll have all the necessary tools for health. I hope you enjoyed this review and found the information useful. Please comment below and I’ll make sure to get back to you. Also, share on social media so your friends and family have a chance to see this. Wow this fitbit “watch” sound really cool, I have always been scaptical to this kind of equipment, guess I am kind of old school :o) But I have to admit it is a stylish piece of equipment… Do you know if it counts the amount of calories burned if you do for example dips or pullups? Or is it only counting “steps” ? I had something similar to this a few years ago. In fact, my whole office did. Everyone was excited about it and using it and talking about it, but to be honest, I don’t get it. What do I do with that information, like how many steps I took that day? Does it tell you if you are not active enough? I’m not meaning to be negative here, just trying to understand because I don’t really know a lot about exercise or calorie burning at all. But I am interested in having more energy – that is my main health concern right now. And I do see a major decline in my energy now that I don’t exercise anymore, which is why I’m starting to take an interest again. If I’m not looking to lose weight, would it still be information that would be useful to me or is that really who it’s geared for? Very informative article you really covered all aspects of this fitbit product, it sounds really interesting and worth a look. You really have interesting topics on your post pagesand I’m really looking forward at looking at this “my system” fifteen minute workout you have. A really well laid out site and I enjoyed the visit. 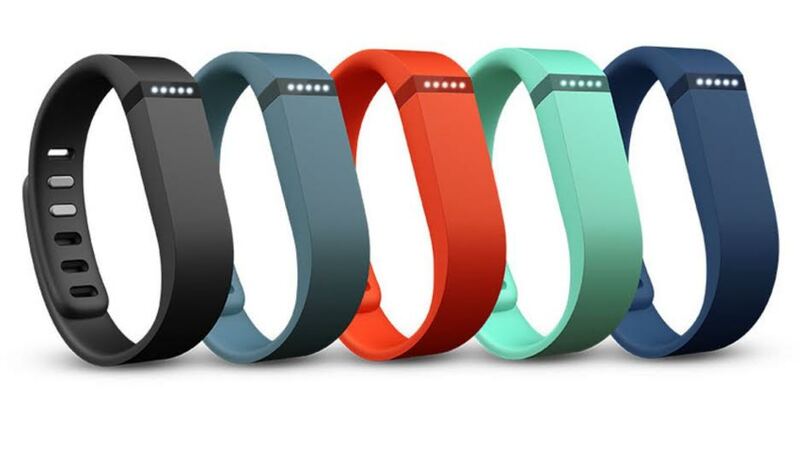 The Fitbit is a really cool health gadget and it looks really cool too. I’m happy you like the website and you should try My System. It can help in so many aspects of life. I am actually impressed. It does look very sleek and like a watch. But It looks a like a digital rubberband to me. I didn’t seen no display screen. Can you monitor your step calories burned etc from a screen on the fitbit. I guess there is no point since it does connect to your phone. What I thought was pretty cool was that you said it has a silent alarm. Does this mean it vibrates? Do you charge this thing? Or does it take batteries? This is a really interesting unit. I like that you can monitor your sleep! Have you used this yet and if so how did you like it? I am impressed by how many features it has, and the price sure is right. I am wondering how it manages to track so much stuff. You are so right about health being so valuable. Anymore people take care of everything but themselves. This Fitbit is a perfect solution to that! One of my favorite features is the sleep monitor. My boyfriend loves that feature on his, and after tracking his sleep for a while, he began setting an alarm for 7:34 every morning, because he noticed a pattern of restlessness at that time. Now he wakes up more refreshed and rested every day! Seems like all my friends are getting these. They do seem pretty cool. I might end up getting one soon. I’m very active at work so it would be cool to know exactly what I am doing. I really don’t get the sleep part though? How can it tell if I am getting good sleep? Is it by how much you move? Really nice article on the Fitbit. I never knew that it could do so many things. Always just thought it tracked step and things that and smart phone app could do. I have heard many people have had mixed feelings about how accurate these ‘trackers’ track info, not particularly the Fitbit. How reliable is the Fitbits readings? Its def not perfect and will never give you exact stats. It will give you a very accurate idea of activity level and you can use that to decide on what exercises are needed. The Fitbit looks awesome, and it’s very sleek! Once you have gathered all the information from the Fitbit, is there an application that you can download to your smartphone that analyses all the data for you and then recommends a training program that you should do to stay in good health? Excellent article! I actually have that Fitbit but I mostly use it for walking around or if I’m at my job. I try to use it every day like I should but it slips my mind occasionally. The only thing I don’t like about it is the latch part. I work with my hands and if I’m not careful it will pop off and loose it.lol Its just I like seeing how much activity I’m getting throughout the day. All in all, though I think this can be a good investment. Yeah, I agree the information Fitbit provides is the coolest part. Thanks for commenting! this is the first time I am seeing this product. Very very interesting. But in regards to your site – I feel it set the right tone in having an easy and straight forward design. No fancy colors or detours. The subject itself is so interesting that the visitor will be fully engaged. I’ve been considering getting a FitBit for my husband and I to help in our journey towards better health. I completely agree that while it isn’t essential and definitely not a one-stop solution for health, the fact that this nifty little gadget can help you monitor your efforts is important and a reason why it’s a very good investment. After learning more on your site, I’m going to get The Flex. Thank you so much for your review. This Fitbit thingy sounds amazing! The only thing i don’t like about it is the price. It’s really costly.. but i guess the quality is up-to-par then. I’m most interested in the sleeping part. You say it tracks how well we sleep. How does it do that? Thank you for this interesting review!